When you get out of bed in the morning those first few steps can be absolute agony! Foot pain can very quickly take over your life and the truth is, that the “normal” treatment options don’t work for everybody. You never appreciate your feet until they start to cause grinding chronic pain all the time! Chronic pain is EXHAUSTING and can lead to depression, stress and a loss of life’s enjoyment. Don’t let chronic foot pain ruin your life too. You’re worth it. The number one cause of chronic debilitating foot pain is a little know problem called tendinosis. When the soft tissues of your foot arch gets overworked for a long period of time they starts to break down. This ends up a mess of scar tissue (adhesion) and degenerative changes all which lead to chronic pain. 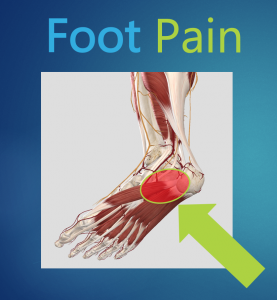 To find out what is causing YOUR FOOT PAIN click this link to schedule you Initial History Consult. What are the main issues with Tendinosis? These pictures are of tendons that have tendinosis. They are not feet but the same process is occurring in the big tendon in the base of the foot. The fibers are disorganised, enlarged, weaker and cause pain. How do you fix tendinosis? We have a complete process for reversing the pain in your foot. Our uniquely engineered process focuses first of all on getting a complete picture of what is going on. Only once we have identified correctly what is happening will we be able to fix it! It’s crazy how much money and time is wasted every year on treatment for problems you don’t even have. This is what we do all day long at Soft Tissue Solutions. So if you are tired of getting nowhere with haphazard treatments, exercises that don’t help and stretches that make it worse – Book in for the first step in our process to get your pain fixed forever, our Initial History Consult.